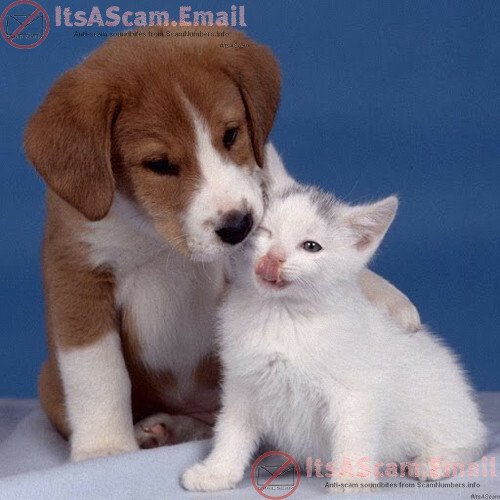 If you're looking for a new pet on free classifieds sites like Craisglist or Gumtree then it is highly likely that all you're going to find are scammers. People with pedigree animals do not give them away for free or just for the cost of shipping. These are valuable and popular animals, so they would easily get market value from them. Watch out for individuals who post an advert in your local area and then claim to have relocated to the opposite side of the country or overseas. No one in the USA, UK or Europe would use a shipper that is based in West Africa and companies that claim to be based in your country would not require you to send money to an individual in West Africa. No legitimate business requires customers to pay through an anonymous method such as Western Union or Moneygram. Above all, don't pay any money for a pet that you haven't seen in person - not only will you avoid being scammed by Internet scammers, but you can ensure that the animal is fit and healthy, from a good background and has the right temprement for your family.